The York parkrun is a 5km run, every Saturday at the York Racecourse. The run starts at 9.00am. Hundreds of runners attend each week varying in age and fitness levels – you don’t need to be a competitive runner to take part. You can walk the 5km too, there’s no pressure on running the distance as fast as you can. The York parkrun is free, but you must register on the Parkrun’s website. Once registered you receive a barcode to print. Take your barcode to each Parkrun event to receive an official time for your 5km run. 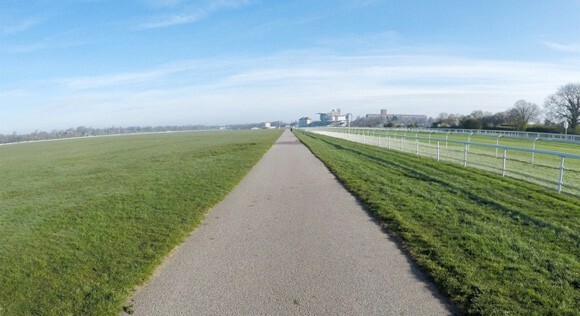 The York parkrun route is 1.5 laps of the Knavesmire at York Racecourse. The starting point is near Cherry Lane Car Park and the finish line is near the Grandstand. The half lap is shown in red and the full lap is shown in purple. 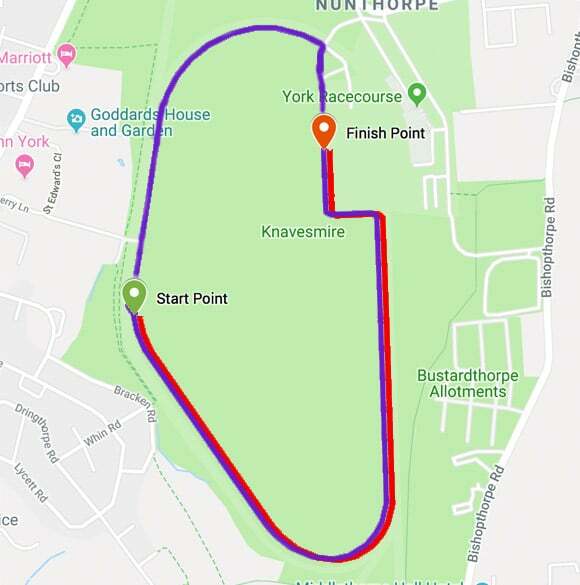 The York parkrun is a flat course on concrete with very few turns. After rain, mud and puddles may appear on the path, but the majority of the course is typically in good condition. There’s one section, about 200m from the start, that always accumulates water after rainfall. People either run through the puddle or run around it on the grass. After crossing the finish line you collect a token from the volunteers. You move to the next volunteers who scan your token and your barcode. You must keep in the same order as you move to collect your token. Keep to the left of the cones as you cross the finish line; the right side is for runners that have another lap to complete. The York parkrun is timed by the volunteers. The timer starts when the race begins and your finish time is recorded when you cross the finish line. The finisher times are matched to your profile using the tokens and barcodes. Typically 2-3 hours after the York parkrun has finished, the results are uploaded and text message/email notifications are sent to each runner. Each week the results can be viewed on the website. View the latest York parkrun results. You will receive your own barcode after registering for the Parkrun. This must be printed and taken with you to each Parkrun. You can laminate the barcode for durability or you can support the Parkrun and purchase one of their barcode products. You cannot show your barcode on your smartphone. If you forget your barcode you can still run the race, but the times will not be allocated to your profile. Your finish time on the results table will show as UNKNOWN. You can upgrade your barcode and support the Parkrun. There are multiple places to park for the York parkrun. 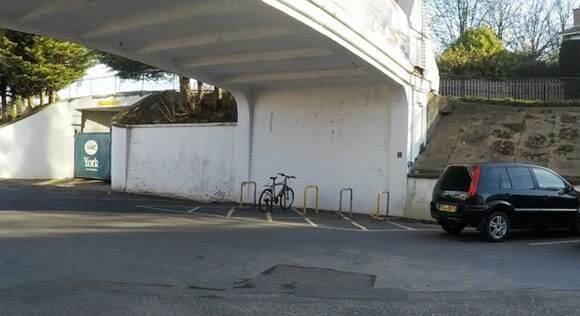 You can park at the York Race Course. 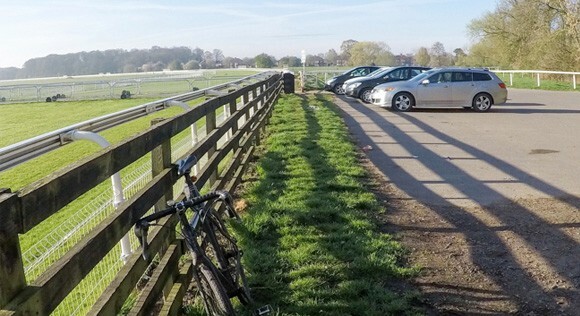 There are parking spaces along the long road leading to the Racecourse and parking at the Racecourse itself. 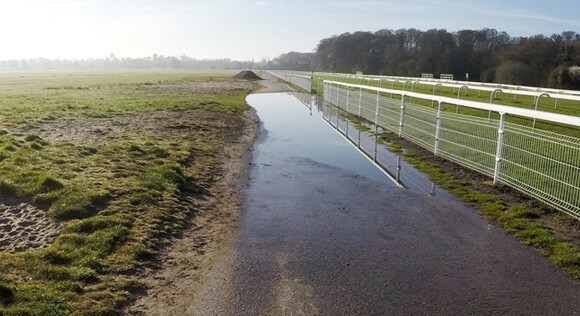 The York parkrun finishes at the Racecourse, so you will have to walk/jog to the start line. There will be plenty of other attendees to follow if you are unsure how to find the start line. 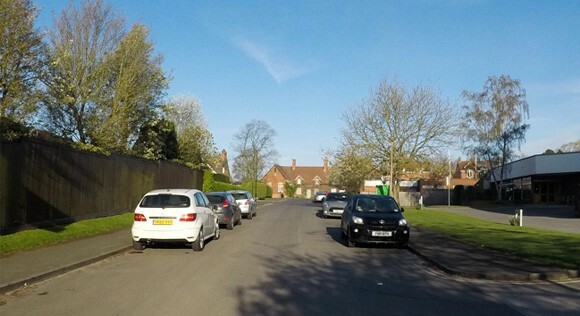 Alternative parking is available down Cherry Lane and in Cherry Lane Car Park. This area gets very busy and Cherry Lane Car Park fits approximately 25 cars. This is a good spot if you wish to park at the start line, but you will have to walk back to the car park after you have finished the York parkrun. 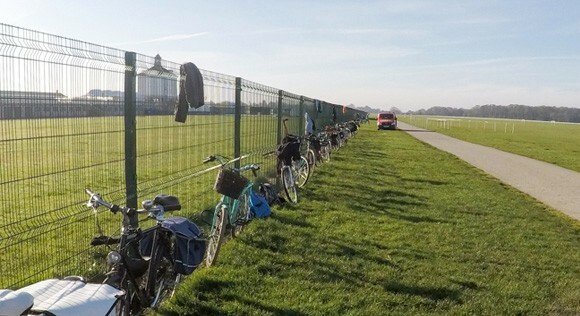 There are plenty of cycle racks at the Racecourse. 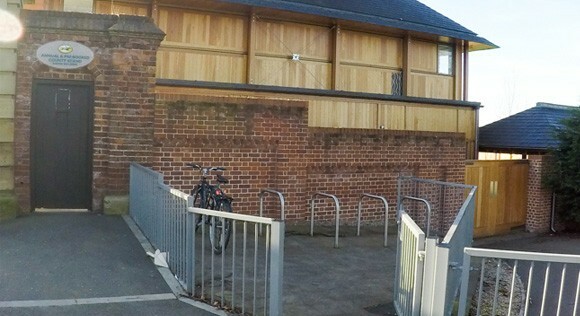 Many bikes are often locked to the fence near the finish line or locked to the wooden fence in Cherry Lane Car Park. Volunteers are present near the start and finish line, but always take precautions when locking your bike in these areas. Volunteers help with the logistics of the York parkrun, but they also help fellow runners. There is always a Tail Walker to ensure nobody finishes last. Each week there are volunteer pacers. They wear a yellow bib with the target finish time. The pacers are great for someone trying to achieve a personal best. Listen out for the pacers being called out and identified at the start line announcement. There are plenty of dogs and children of all ages at the York parkrun. Runners under 11 must be accompanied by an adult at all times (within arms reach). Pushchairs are welcome and the concreted track is a good terrain for pushchairs. Dogs must be on a short lead and under the owners control during the York parkrun. It is a maximum of one dog per person and you cannot run with a dog and pushchair simultaneously. There are no toilets or changing rooms at the York parkrun. You can leave gear at the finish line. The volunteers kindly take gear from the start line to the finish line, but this cannot be relied upon, it depends on how many volunteers are available and how much stuff other runners have left. 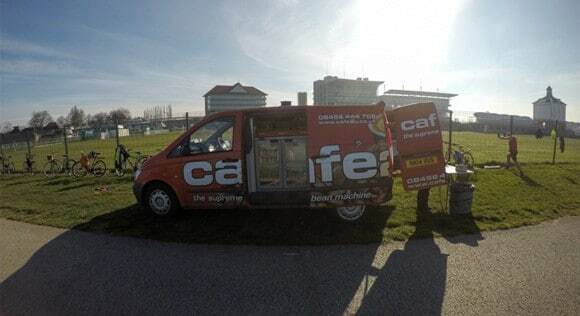 After the finish line, Cafe2U is there each week supplying hot drinks and snacks. The Parkrun awards free t-shirts for achieving different milestones. You only have to pay for delivery. You can order your t-shirt by logging into your Park Run account. I’m happy to answer any questions you may have about the York parkrun. You can email me on the Contact page.